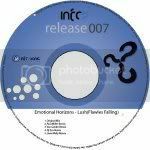 Hungarian producer Peter Safranous otherwise known as Emotional Horizons makes his debut on Infrasonic with yet another stunning original to add to his already impressive catalogue. Beautiful sun baked chords backed with a haunting vocal contribute to yet another fantastic release from Infrasonic, cementing their already growing reputation among the world's leading labels. Polish heavyweight Paul Miller takes the reigns for remix one, back after the huge success of his Dmitri Federov - Falling of Stars remix which was championed as one of the biggest remixes of 2007 with global support. Similiar to his Dmitri remix in style Paul adds an abundance of energy to the original chords before lift off. Pumping high energy trance from start to finish, showing once again why this guy is one of the most in demand producers in the industry right now. Essential. A familiar face after his work on debut release 'Cosmic Belt' joins us for remix two. Among the most consistent trance producers over the past 6 years Wim otherwise known as Icone is back for a second helping on the Infrasonic inprint under his Van Gelder guise for yet another stunning take on the original. Two more debut remixes complete the package. The first from American based producer Dj Eco with his tough tribal interpretation and the second from another of Ireland's up and coming producers Liam Melly fresh from finishing work on leading london based label Tekelec. Markus Schulz (Tune of the week on GDJB), Ferry Corsten, Manuel Le Saux, Aly & Fila, Jon O Bir, Daniel Kandi, Gareth Emery, M.I.K.E, Heatbeat, Ernesto & Bastian, Alex, MORPH, Woody Van Eyeden, Super 8 & Tab, Paul Oakenfold, Tom Colontio, Digital Nature, Ronski Speed, Danjo & Styles, Dj Shah, Pedro Del Mar, Adam Nickey, Michael Splint, Talla XL, Probspot plus many more. Original so beautiful! Paul Miller banging uplifter! I've always liked Pete's work and this sounds like another great track. Will support!